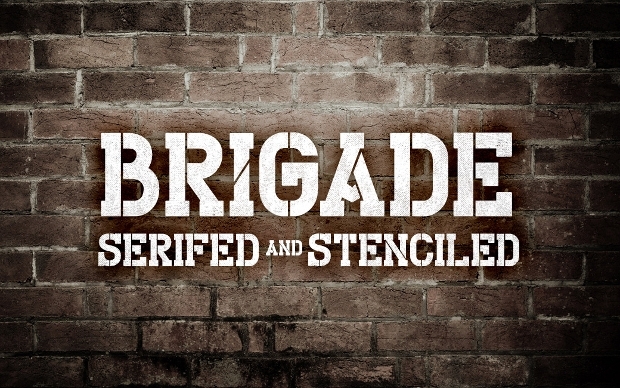 Looking for stencil work that can match your military design requirements? 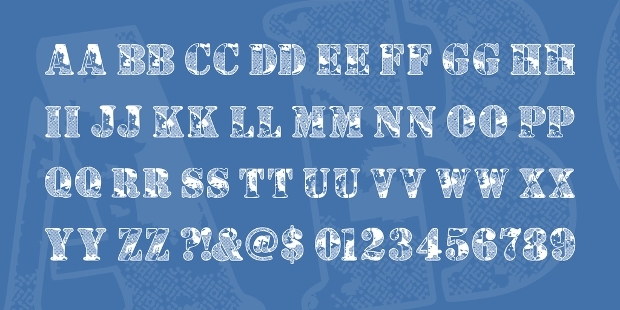 The idea of military fonts is to clearly and quickly label objects, locations, and vehicles. Popularly used in all kinds of commercial, industrial and government settings, they are quite the tools when it comes to designing projects. However, being plain and simple doesn’t mean a lack of creative opportunities. 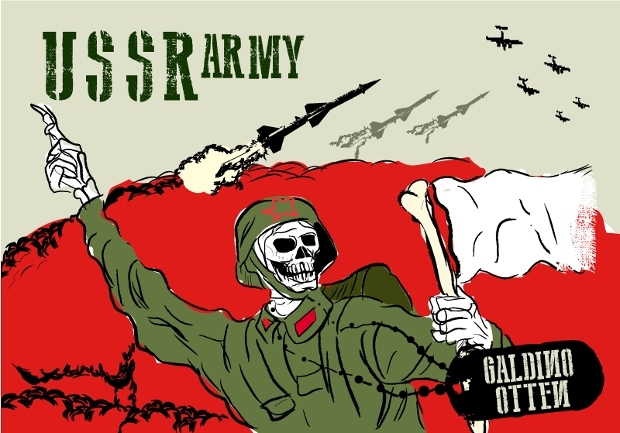 Here are some unique army fonts that are both creative and speak clearly for themselves. 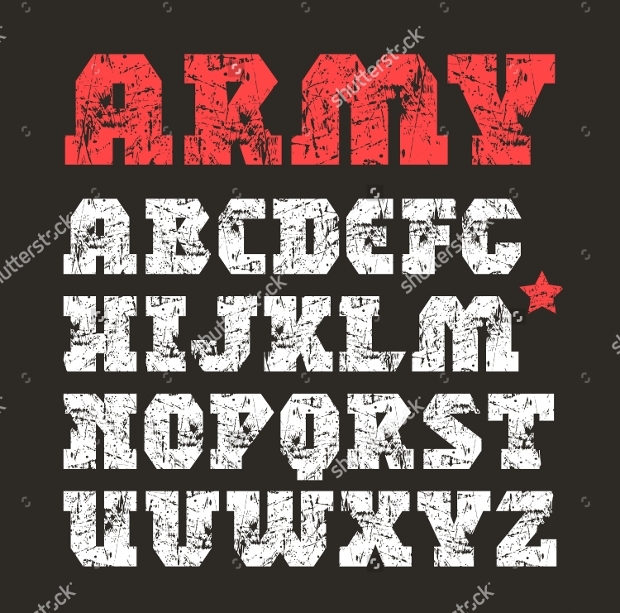 If you have been searching for fresh ideas on army fonts, check out these examples below. The moment you see it, you recall the tombstones of the World War. 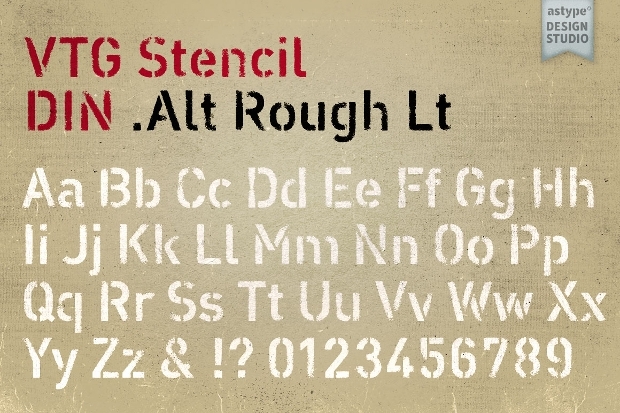 Representative of German army stencil work, these fonts can be put to use in a variety of applications. 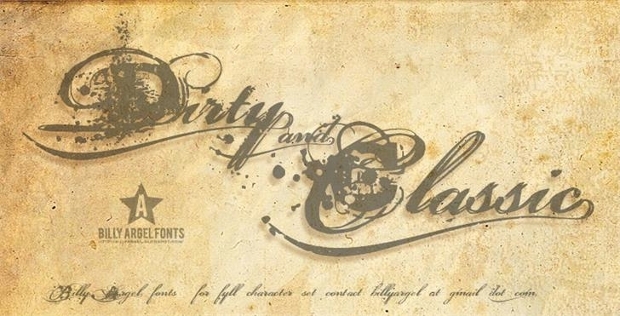 Whether you are etching on stone or printing a bold poster, these big fonts give enough room to clarity and look unique. Available as PDF and OTF files, they can be used in many image editing applications including, Adobe Photoshop, Coral Draw, InDesign, 3D Max and more. 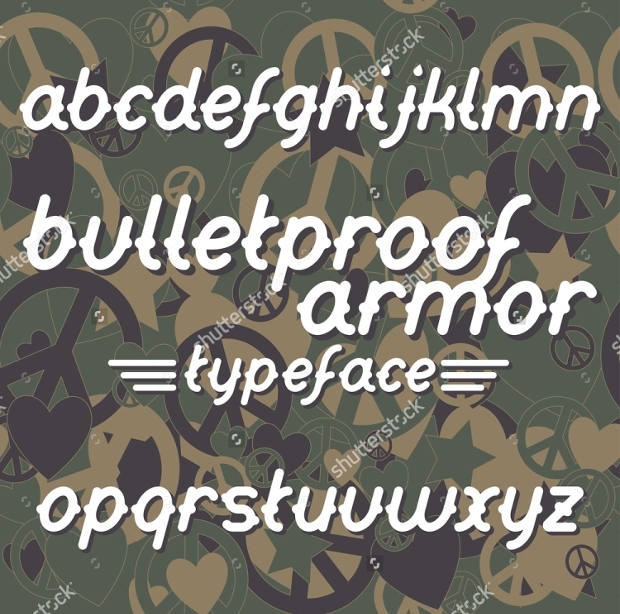 Camouflaged but clear, this collection of army font puts through a clear message and will be perfect for making any kind of bold and important statement. Completely customizable, they are available in the highest resolution and thus compatible with any application. 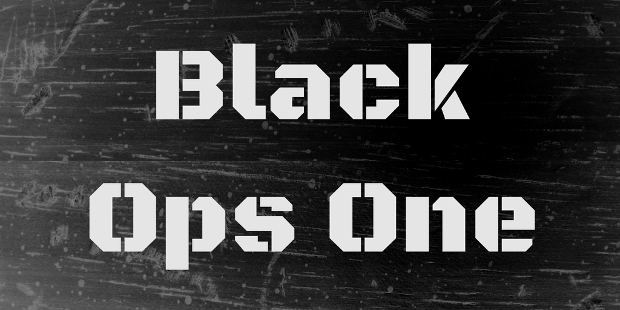 This particular army font is perfect for logos, banners and headlines. 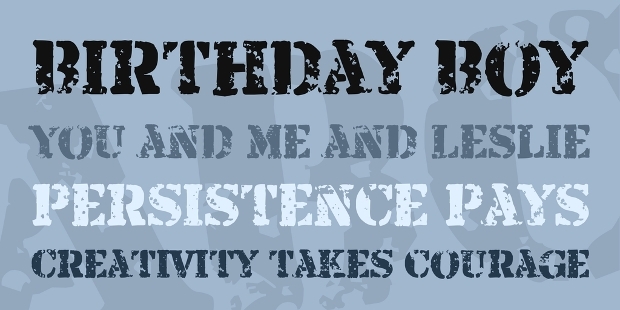 The style can be said to be a hybrid of slab serif and stencil font. 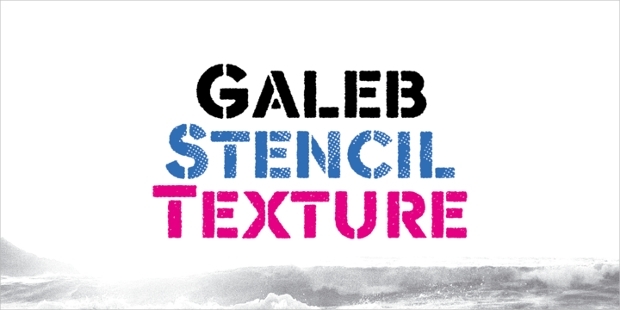 Compatible with a variety of image editing applications, they give more power to your designs. 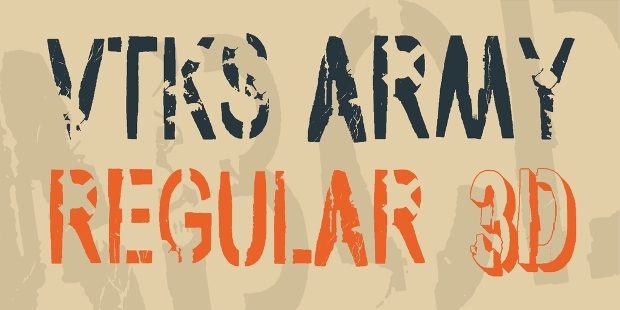 Bold and beautiful, this army font collection effortlessly makes a statement. 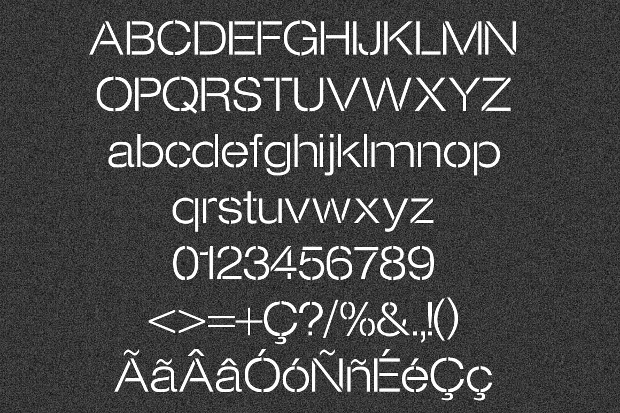 Offered by Neuevector, these athletic fonts are available in the highest resolution and are completely editable. Whether you choose to scale or make color variations, there won’t be any loss in the final quality. 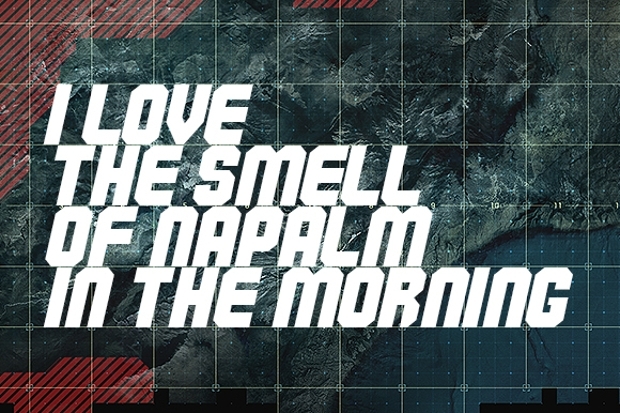 This all exclusive military font is ideally suited for designing for adventure, travelling, headlines and other requirements. A complete package with both lower case and uppercase alphabets and numbers, they can be used in designing t-shirts, posters, brochures, café hoardings and more. The Arabic typeface of this sports font is seriously unique and could be a part of any fresh designing project. 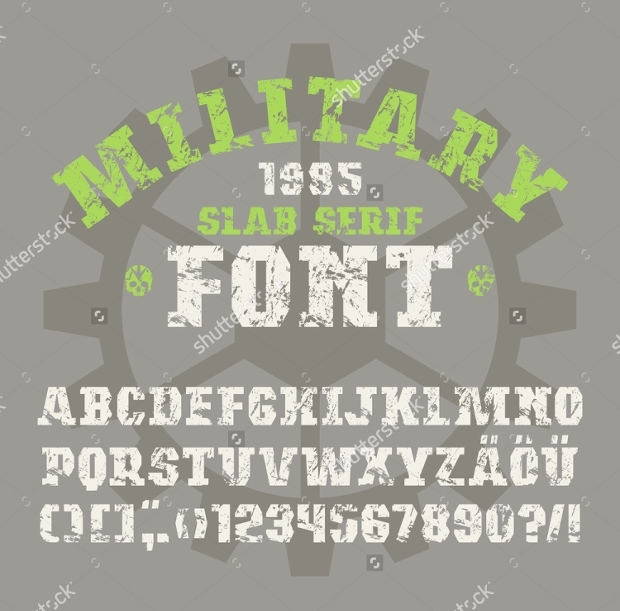 With a military camouflage background, this font set starkly resembles fonts used in military supplies – arsenal and clothing. 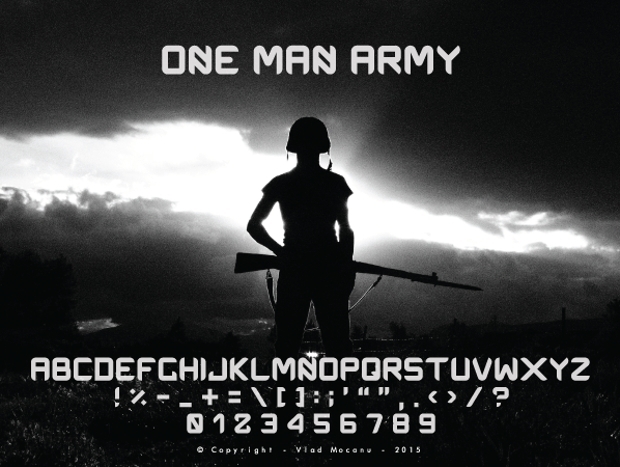 Bold but twisted, only a true army man can read this font fluently. The collection is available in all types of file format and can be put to use in a variety of image editing applications. 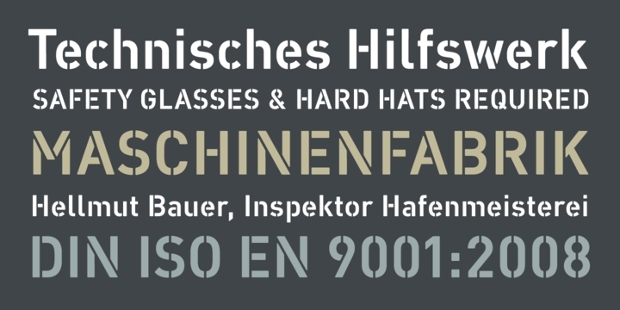 Strong but delicate, this particular font has an interesting subtle roughness. If you are looking to design a clear but authoritative statement, this font will ideally suit the job. The font is available in high resolution and can be put to use in all kinds of application – be it etching on stone or printing a banner. 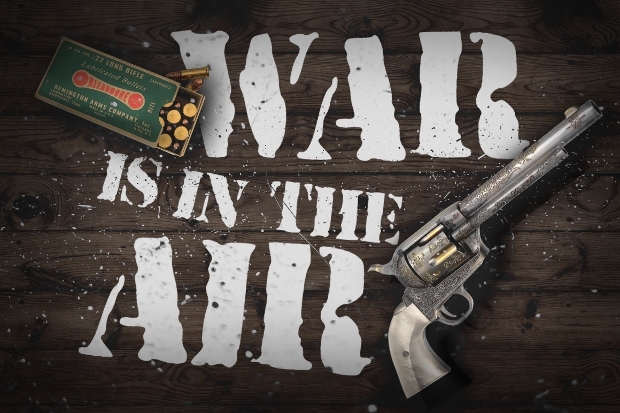 If you are looking to impart a seriously military statement to you design, this vintage army font collection perfectly meets the requirements. 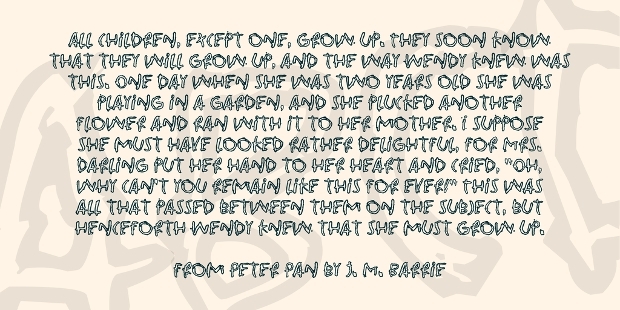 The font depicts a shabby texture in slab serif. The bold typeface however makes your statement authoritative and clear. If you have been searching for a unique way to describe your design for outdoor marketing, this block font could be a good choice. 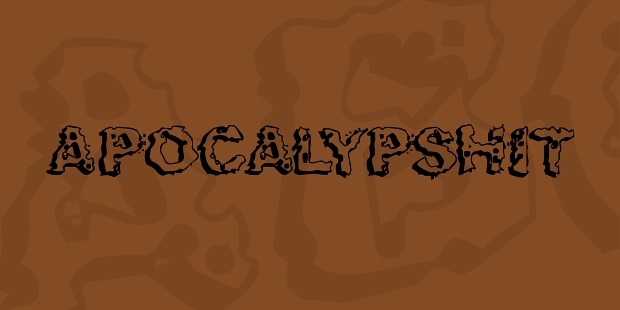 Be it an adventure activity or a roadside café; use this font to make your design more authoritative. Got what you were looking for? 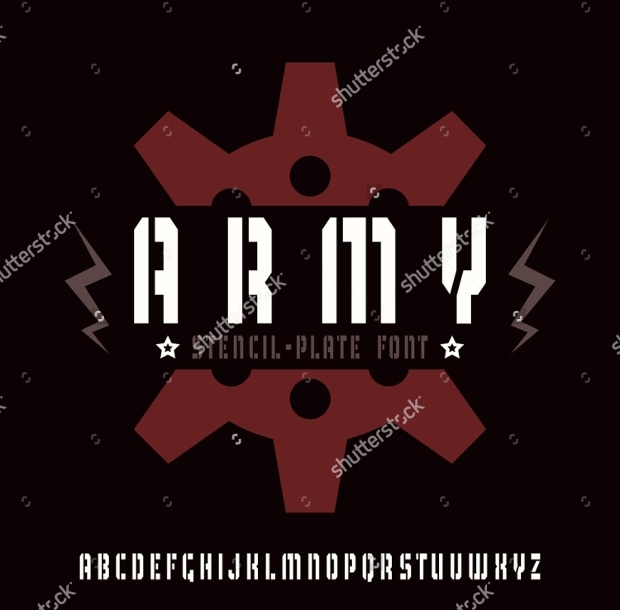 Army fonts are unique in themselves but also leave a vast platform for creativity. 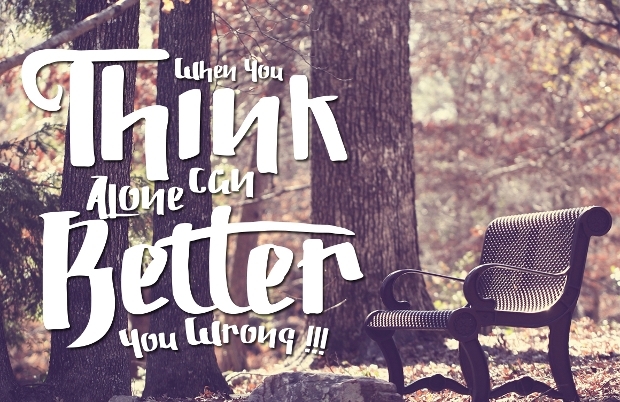 It really matters how your put these fonts in your final design. All files offer complete customizability and should be an asset for any graphic designer.